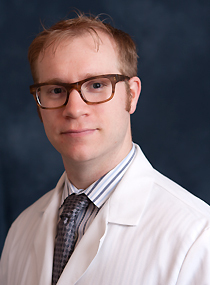 Jason H. Peragallo, MD, is an assistant professor of ophthalmology for the Eye Center’s sections of Neuro-Ophthalmology and Pediatric Ophthalmology And Adult Strabismus. He received his bachelor’s degree in biology and biochemistry from Brandeis University. He received his medical degree from New York University. He has completed fellowships in both pediatric ophthalmology and adult strabismus, and neuro-ophthalmology. Dr. Peragallo holds an academic interest in the evaluation and treatment of strabismus due to neurologic disease and in the treatment of children with neuro-ophthalmic diseases. He has conducted strabismus research in patients with neurologic disorders, as well as research in idiopathic intracranial hypertension. Dr. Peragallo holds membership in the American Academy of Ophthalmology, the American Association for Pediatric Ophthalmology and Strabismus and the North American Neuro-Ophthalmology Society. He has presented platform presentations, workshops, and posters at national meetings.